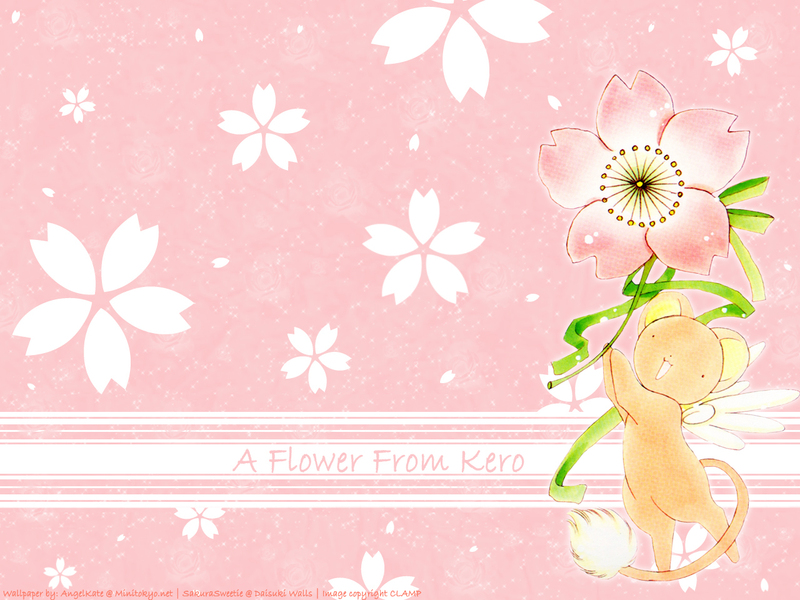 A 꽃 from Kero. . HD Wallpaper and background images in the 카드캡터 사쿠라 club tagged: anime card captors sakura wallpaper kero keroberos. This 카드캡터 사쿠라 wallpaper might contain 부케, 코사지, 꽃다발, posy, nosegay, and 코 사지.